CAPITALISM, PIRACY & SO FORTH: From Prism to Tempora: How states "master the Internet"
From Prism to Tempora: How states "master the Internet"
The fact that the U.S. and the UK (among others) rely on private corporations with quasi-monopolistic power to police cyberspace does not exactly come out as a surprise. It is just history repeating (and by the way, this short documentary released in 2012 already highlighted the cozy relationship between Google and the NSA). The PRISM and Tempora scandals, though, are surprising in at least three respects. First, it is striking that Snowden is presented as the heroic whistleblower. On several occasions in the past, other whistleblowers had made similar allegations, most notably William Binney, a former technical director at the NSA. Last year, around the time NSA director Alexander was invited at the DefCon hacker conference to scout for talent, Binney already explained that the NSA was "collecting e-mails, Twitter writings, internet searches and other data belonging to Americans and indexing it." Why didn't this create a scandal back then? Quite interestingly, the NSA director had been invited to speak before a room filled with hackers by DefCon founder Jeff Moss, who then held top positions both at ICANN and as a cybersecurity advisor to President Obama. Wasn't there any awareness of PRISM among this crowd at the time? Uh. 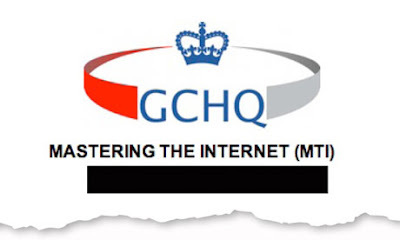 the GCHQ has spent 5 years attaching intercept probes to transatlantic fibre-optic cables to enable mass-tapping operations. "This was done under secret agreements with commercial companies, described in one document as 'intercept partners'", reports the Guardian. Thousands of people knew about this. Third, following the PRISM/Tempora revelations, similar programs came to light in other countries, such as France. But those programs were already known, and it seems like other governments are strategically communicating in the wake of the PRISM media drama to admit to similar practices, hoping that the US government will be considered the only scapegoat in this story. And the Chinese government, understandbly, sees this whole PRISM thing as a godsend - finally, they can stop being the universal cyber-scapegoat and start trashing the 'free world' countries for the restrictions they impose on online freedom and privacy. And what a perfect timing: Obama and Xi Jinping just met for a summit on cyber-espionage. I took the liberty to translate this into German.